iPhone Tracking via UDID is back on with iOS6. What it means for your privacy? The online security and personal privacy of iOS 6 users is a concern, after Apple turned back on the UDID tracking on new Iphone 5 and the rest of iPhones, iPads and iPods touch with updated iOS to 6. What is a UDID and why is it a concern for iOS 6 users? UDID is an acronym for Unique Device Identifier. UDID is a unique, permanent, built-in, non-deletable serial number that identifies every Apple device. It is mostly used by mobile advertisers to show you targeted ads thanks to the large databases of information compiled from your iPhone and other mobile devices. Many of us feel a strong personal connection with our Iphone, storing there all our address book, photos, music, videos, texts, emails, voicemail, notes and codes, web logins, banking information, travel arrangements, aps with places we go to, where we eat, where we drink, how we sleep, etc. This is a huge load of personal data, and probably even our mother or our spouse doesn’t know as much about us as our iPhone does. Imagine that all this information can also be available to third parties? In IOS6 it is commonly used for targeted advertising purposes, to tailor-make for you the ads that you see, but what if this information is misused? UDID allows to follow your activity across multiple apps and put together a behavior pattern which is then sold to advertisers or is used for showing you more targeted in-app ads that you are more likely to click on. And the simplicity and value of UDIDs is that it is uniquely associated with just one device that cannot be erased, duplicated or obscured. And it goes like this: The app developer sells your UDID to an advertising network, which stores it on its servers. The more developers sell your UDID to that same advertising network, the more that advertising network knows about you, and the better it can serve you ads on that specific device. These advertising networks then sell their databases to other ad companies, who put together a complete picture using their combined UDID databases of what you use your iPhone for. The way it is, there is nothing wrong or harmful in targeted advertising and there is a value in the ads that are tailored to your interests and behavior, but the problem with UDID is: what if this information leaks? The UDID tracking has been previously disabled by Apple on all its mobile devices for the concerns above, and Apple prohibited all app developers from building it in the apps that would track the mobile data. Now with the new iOS 6 the tracking is back on and is even more effective than before, as confirmed by a number of mobile advertising executives. Nevertheless, this feature is not mentioned on the official iOS6 launch page, leaving the majority of iOS 6 users unaware of this new function. After a number of online articles that raised this concern, Apple has provided information on its support page on how to opt out of the targeted ads and to disable the collection of location information. The easiest and the safest way to protect your connection on all mobile devices is using a VPN for iPhone or iPad, like Le VPN. All VPNs have an encryption algorithm that ensures that your connection cannot be intercepted or listened to, especially when you connect with a public WIFI or other unsecure channels. But even with a VPN connection – Apple still stores all your UDID data if you don’t opt out of it on the new iOS6. Wow! I didn’t realize this function is back by default in the new iOS6, cause I’ve also installed it on my iPhone4. I have opted out of it now and hopefully nobody will track me any more… Thanks for sharing! Same here! 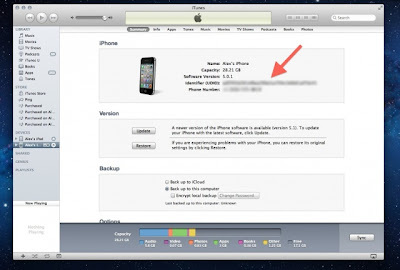 God iPhone5 with iOS6 and UDID tracking already built-in, so now opted out thanks to your link! Cheers!